Heathrow Academy Apprenticeships are a great way for you to kick-start your career if you have a clear vision of the industry you’re looking to develop a long and fulfilling career in. Is sitting in a classroom all day not for you? Do you prefer hands on learning? An Apprenticeship with Heathrow Academy could be the perfect route for you to advance your career while earning and learning. What do Heathrow Academy Apprenticeships involve? Are you passionate about staring your career in engineering? 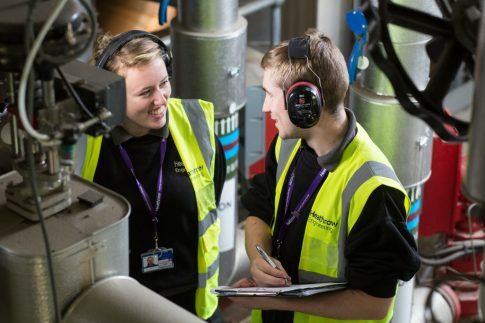 Heathrow Academy Apprenticeships are a work-based learning package which combines earning and learning through workplace training and academic study. Want to become equipped with in demand skills, vital work experience and a nationally recognised qualification? You’ve come to the right place! There really is no other place quite like Heathrow Academy to start your engineering Apprenticeship. Heathrow Academy Apprenticeships are a great way to avoid the monotonous career routes, everyday will be filled with excitement and no two days will ever be the same! During your engineering Apprenticeship at Heathrow Academy you’ll be involved in a wide range of impressive projects from state of the art development, construction and maintenance projects. Looking for a recognised route to engineering success? Heathrow Academy Apprenticeships could be the answer you’ve been looking for! As an engineering apprentice you’ll face new challenges while building you knowledge and working alongside industry experts. Over the four years as an apprentice at Heathrow Academy you will gain accredited NVQs at levels 2 and 3 in General Engineering and Engineering Maintenance. On completion there is also the potential for you further progress towards a BTEC Level 3, HNC or BEng Foundation Degree. What are Heathrow Academy looking for? Heathrow Academy are looking for determined and driven individuals with a passion for engineering. Does this sound like you? To be successful in your application Heathrow Academy are also looking for individual with GCSEs at grade B/6 or above in maths and grade C/5 or above in science, English and another subject. As an alternative you could have achieved an NVQ or equivalent in a science or an engineering subject. Ready to get caught up in the Heathrow buzz?